While I haven’t eaten them in probably ten years, I love pop tarts. So when my friend Ally made her own, I knew I had to try. The recipes I found online all looked too dry and crumbly or too doughy, so I decided to make my own recipe from scratch. The texture of the dough turned out perfect – not too dry, yet not at all cakey. 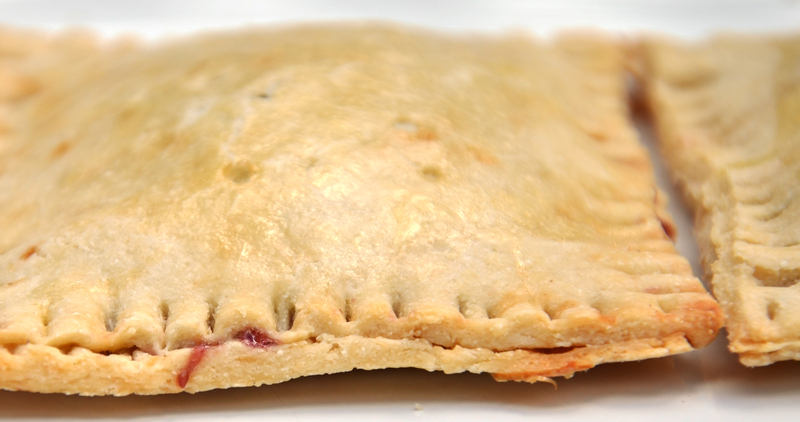 The pastries crisped up a bit in the oven, but were by no means crunchy, which seems ideal for a pop tart. I stuck with my traditional favorite, blueberry with no frosting, but I’m sure you could make a thin glaze for the top to sweeten them up a bit more. I think next time I’ll spice up the filling a bit by adding cinnamon and perhaps some finely crushed walnuts (Ally’s idea). There’s certainly room for experimentation with the filling! 1. Mix the flour, coconut flour, sugar, and salt in a large bowl. 2. Chop the butter into small cubes and add to the flour mixture. 3. Add the coconut milk and egg to the flour mixture. Using your hands, “pinch” the dough until combined. The dough should be slightly dry but stick together, and the butter cubes should be smoothed in. Cover the dough and place in the refrigerator until ready to use. 4. Stir the corn starch into the jam in a small bowl to make the filling. 5. Roll out the dough into two thin sheets, about 1-2 millimeters thick. 6. Cut 2×2 inch squares out of the dough and place half of the squares on a baking sheet covered with wax paper. 7. Score the sides of each square (like in elementary school pottery class) with the back of a fork, about 1/4 inch in. This will help the two layers of dough seal together at the end (see the photo below). 8. Spread a spoonful of filling onto each of the squares on the baking sheet, making sure to keep the filling in the middle of the squares, so as not to cover the score lines. 9. 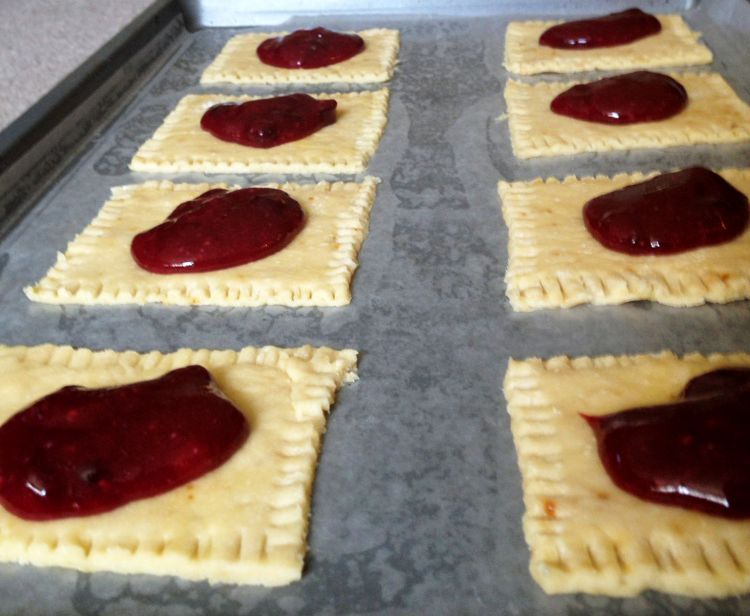 Cover each jam filled square with a second square of dough. Make sure the two pieces are relatively the same shape and size and the sides line up, otherwise the filling will ooze out. 10. Score the top layer of dough into the bottom layer, pinching them together with the back of a fork, about 1/4 inch in. 11. 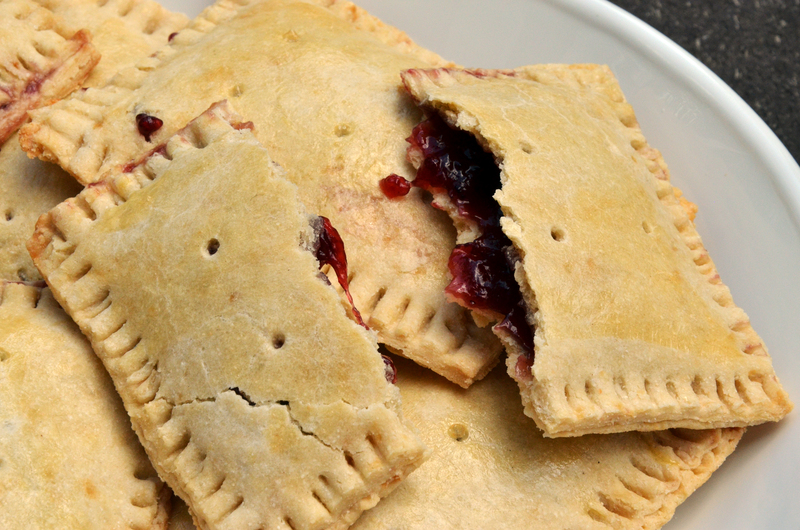 Poke a few tiny holes in each pop tart for the air to escape. 12. If you want, whip a second egg in small bowl and glaze the top of each pop tart with a pastry brush (or your finger) before baking. If you want to glaze the pop tarts in frosting, wait until after baking. 13. Bake at 350 degrees for 12-15 minutes, until barely browned around the edges. Grandpa says they look delicious. Can’t wait to eat one. Freeze one and he’ll eat it when he comes out there. man those look tasty. 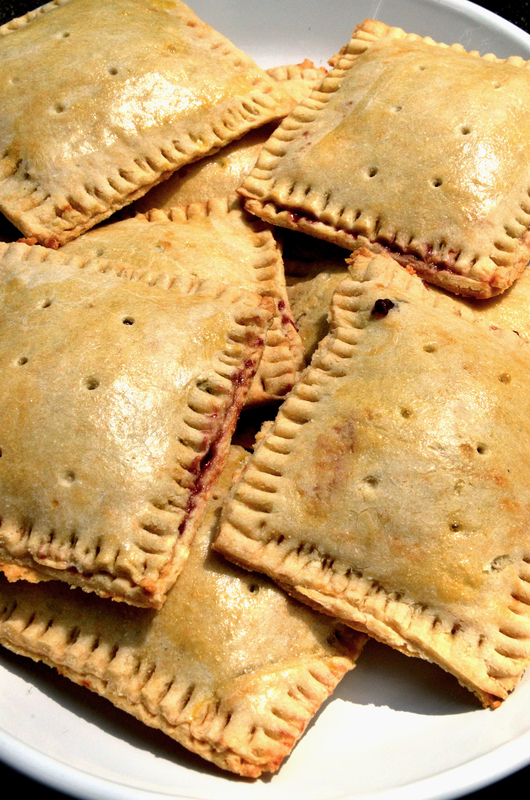 Pop Tarts are Doug Englekirk’s first choice in big wall food. I’m making these this week. I’ve been eating poptarts as my alpine snack (cheaper than cliff bars), but these look so much better!